If you are looking to edit videos online, then the list below of ten best free online video editor will surely help. Many of you may think; that online video editing is hard, but it is not. Actually it is fun, you can easily share those online edited videos to your favorite social networks like Facebook, Twitter and even YouTube. If your online edited video gets some social shares it could also become viral, and you may become an overnight star, but let’s not dream too big at the moment and let’s see what all can a online video editor could do. After so many social networks like YouTube, Vine, Instagram and Vimeo people that are not professionals make videos that look stunning. All this does not require any expert training, but a computer with some basic features or may be a little high end advanced hardware specifications, and you can become a professional video editor in no time. Also check our list of best video editing software for great control and ability to show creativity of next level. With a steady Internet speed, you can easily edit your videos without downloading or installing any software. Many of the websites below offer you to upload images, sounds, raw video footage, and you can tweak your way to make an impressive video quickly. Without any more talks let’s dive into the list. It is an application for creating videos for people that are beginning to do video editing. You will be able to edit video with their website and phone application with easy to follow guided three step process. When you upload your video to Shotclip, they break it into an image by image, and all this is in a guided template format, so you can tell your story in a sequential manner. Kaltura is known to be the first Open Source Video Platform. 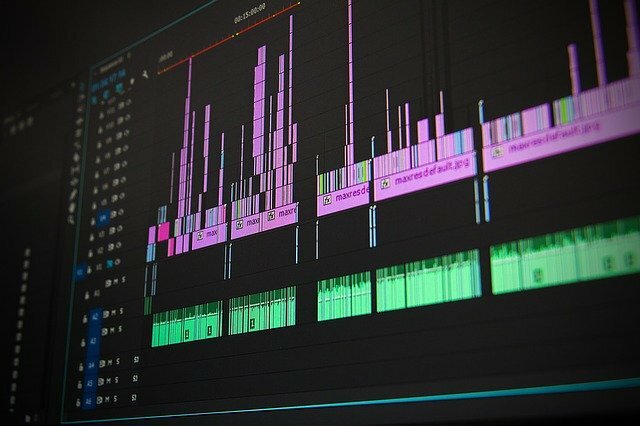 It has tons of features that other video editors have and also to them they have support and community to share your journey in video editing. They also have management, professional video publishing, syndication and monetization benefits. This online video editing app comes with a free advanced file manager that can help you upload and download files from sites other than their own. It means you can upload from YouTube, Vimeo, and other video hosting sites. Some of its useful features are – adding watermarks, cropping, merge, demux, hand code subtitles. We can upload a video up to a size of 600 MB, plus you have a feature to record video from webcam and videocasts. One more feature that many other video editors do not provide is that it can convert the video files to popular formats. Like in 3GP, AMV, ASF, AVI, MOV, MP4, MPG, VOB, WMV. This online video editor is simple to use and has a white-labelled video toolbox so that you can edit and customize it afterward. It has various templates and has loaded features for transition, text, video, sound effects and frame level cutting. That is why it has been an award-winning website. Kapwing is essentially an online video editing website which comes with the suite of exciting tools. At present, thousands of students and teachers are using it every day in order to make quality lessons, classroom assignments and entertainment videos. Video editing with Magisto is fun. One of the best tool that has a good user experience and it contains almost all the tools you can expect from the software. Another favorite video editing tool that contains a white label editing toolbox that can customize a lot of things for users like us. More features of this excellent online video editing tool are adding sound effects, frames, transitions and of course text. Apart from editing video online, PowToon also makes it possible to create new videos. You have all kind of tools and features that can add animations and sounds in few clicks. Creating video on Wideo is quite easy, as you have all the drag and drop elements, extra advance features like creating animation with sequence and no limits on using their stock files and elements like drawings, cartoons, text and images. Still you can add clips, trim clips, add effects and add music to your videos in your YouTube channel. Almost everyone online has used YouTube to see and host videos, another advantage of YouTube is their own Video Editor. With some great features like – Trimming videos, combining multiple videos, adding sound or music from their library of soundtracks, adding special effects, blurring tools and much more. Another great thing about YouTube is you have tons of video in Creative Common licence, means you can use them in your projects anyhow you want. With Wideo it’s easy to upload you own video footage, and any image that you have in your collection of photos can easily be used in making your required video. Surely a unique way to make videos online. YouTube Editor will be shut down in September unfortunately. Yup and its a sad news. Apparently YouTube is gonna be removed from ios ? You missed out WeVideo and Weverize which are both provide collaborative video editing.